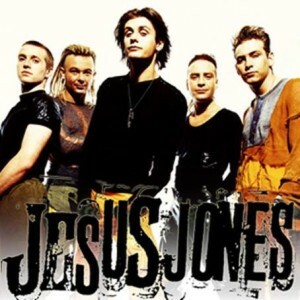 Back in 1991, did you ever wonder what Jesus Jones might sound like in 25 years… wonder no more. In case you missed it, the British grebo legends quietly released new music in the form of an extended play (3 tunes) this past week entitled How’s This Even Going Down? In addition, the band is threatening a new full-length sometime later this year. It’s the first new material from the band in nearly fifteen years, that is if you count the band’s little-known fifth studio album London in 2001 and the 2004 EP Culture Vulture. The group, led by frontman Mike Edwards, enjoyed commercial success in the early 90′s mostly due to the infectious single “Right Here, Right Now,” from the their critically-acclaimed second album Doubt. The album Doubt is a timeless piece of work that deserves a good dusting off and spin every couple of years. You can spin it right here, right now on the Spotify. Over the course of a career than spans almost thirty years, the group released five studio albums, numerous EP’s, and live recordings galore. I’ve always enjoyed Jesus Jones’ music and dig this new stuff, I dare you to check it out below. I look forward to adding Jesus Jones to my 2017 Coachella Wish List, that is, when I get around to making it.